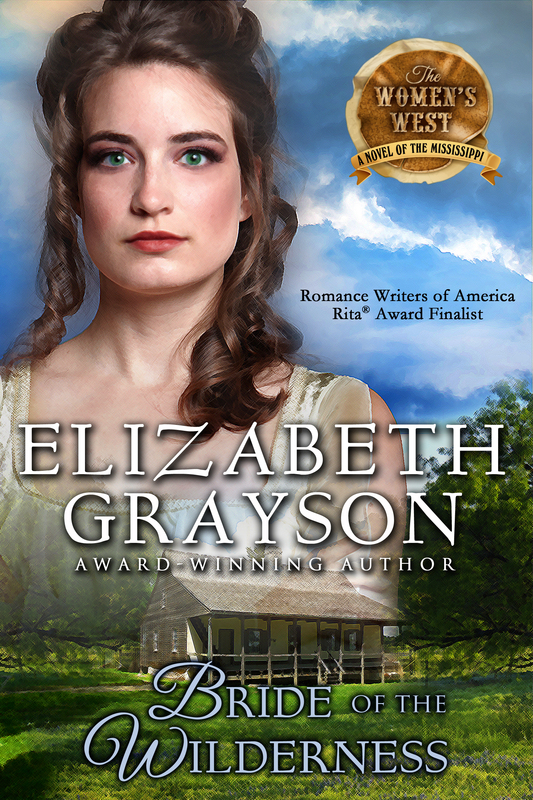 Bride of the Wilderness is the 6th book in THE WOMEN’S WEST series of novels set on the American Frontier. (Books 1 – 4 are currently available as e-books and will soon come out in paperback.) 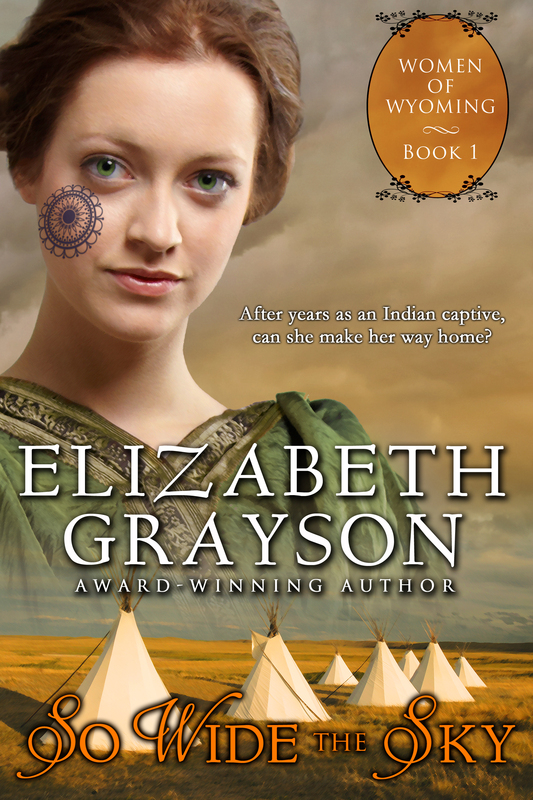 Since this story takes place in the 1770’s at a fur trade rendezvous and in the French Colonial settlements along the Mississippi, talented cover designer Kim Killion was looking for a historical vignette to use on the cover. 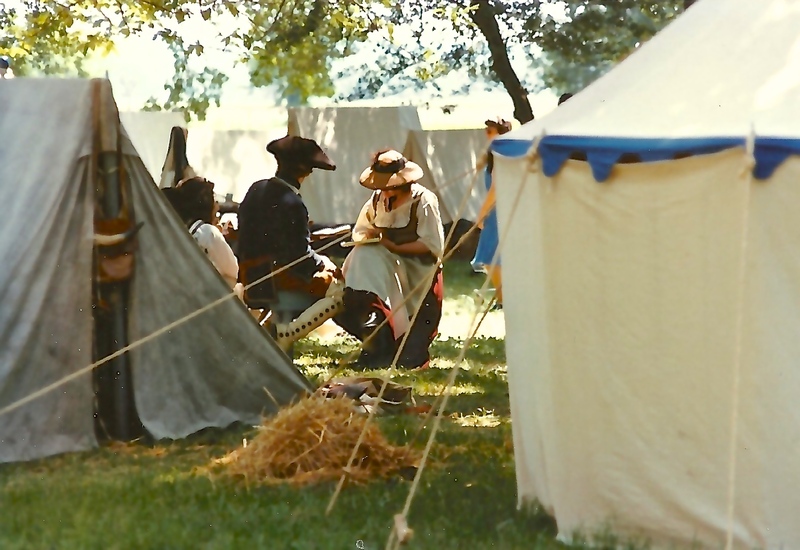 Though I had taken a series of photographs at a rendezvous in Illinois at Fort de Chartres, Illinois several years ago, the images (above) weren’t digital and Kim couldn’t use then. That’s what sent my husband and me off on a fine spring day to Ste. 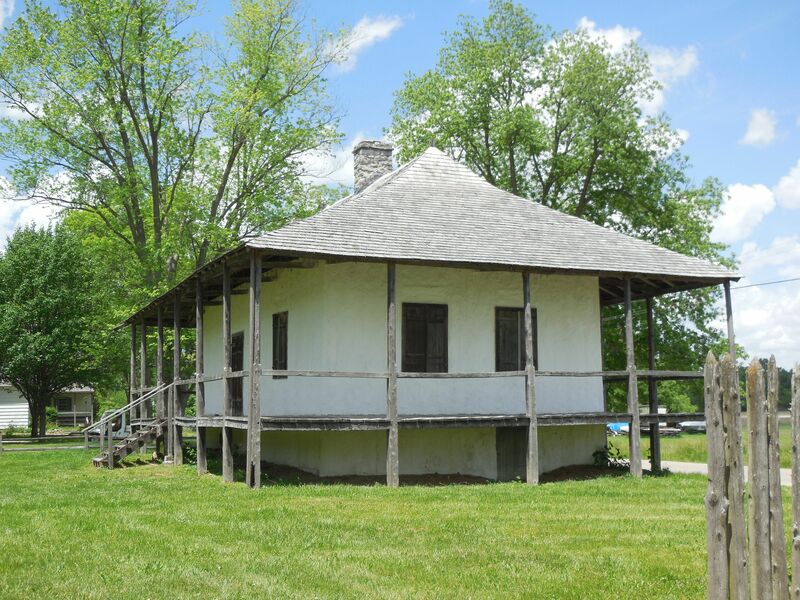 Genevieve, Missouri to photograph French Colonial architecture. Did you know that there are only three areas in North America where this kind of architecture has been preserved? They are in the Provence of Quebec, Canada, in New Orleans and southern Louisiana and on the banks of the Mississippi south of St. Louis. 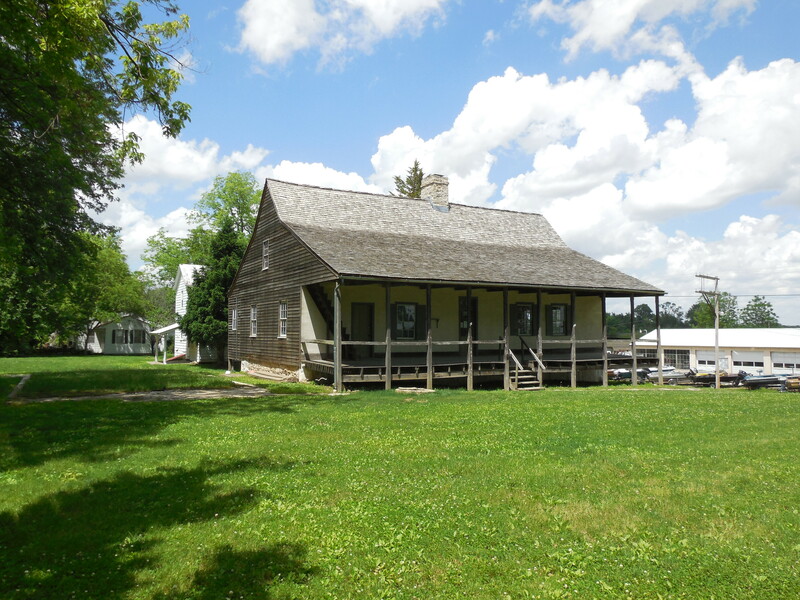 The earliest French settlement along the Mississippi was begun in 1707 by French missionaries and christened Kaskaskia. 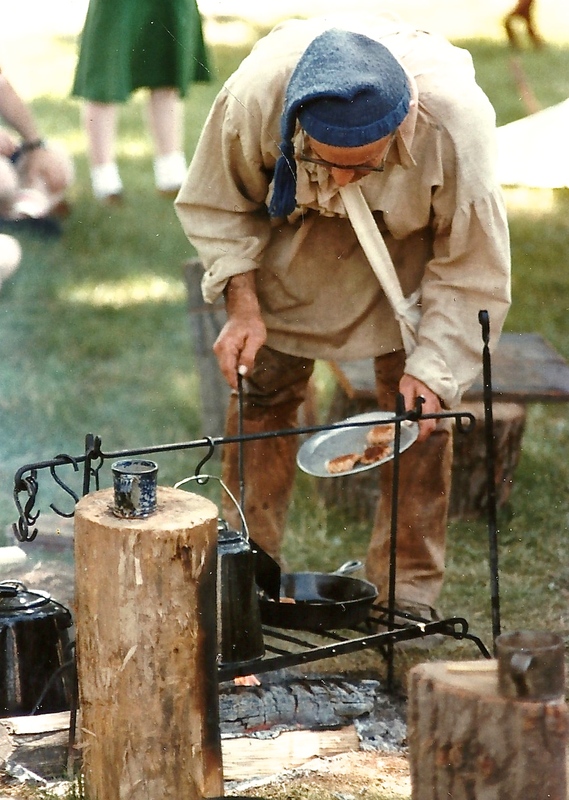 Later fur traders followed the missionaries’ route—from Quebec, through the Great Lakes and down the Mississippi. 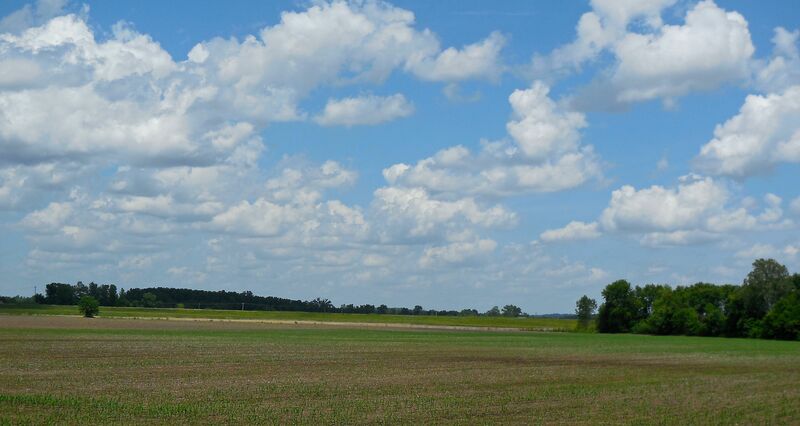 Farmers in search of arable land came to Kaskaskia a few years later. To avoid having to cross the river, the farmers eventually built houses on the western bank and named their town Ste. Genevieve. After a devastating flood in 1785, the town moved to higher ground, an area well back from the river known as “the little hills.” It is here that we find the charming French Colonial buildings of Ste. Genevieve being both lived in and preserved as museums. While makeshift housing existed for several years after the flood, once the settlers began to build lasting homes, they did it in what is now called the French Colonial style. 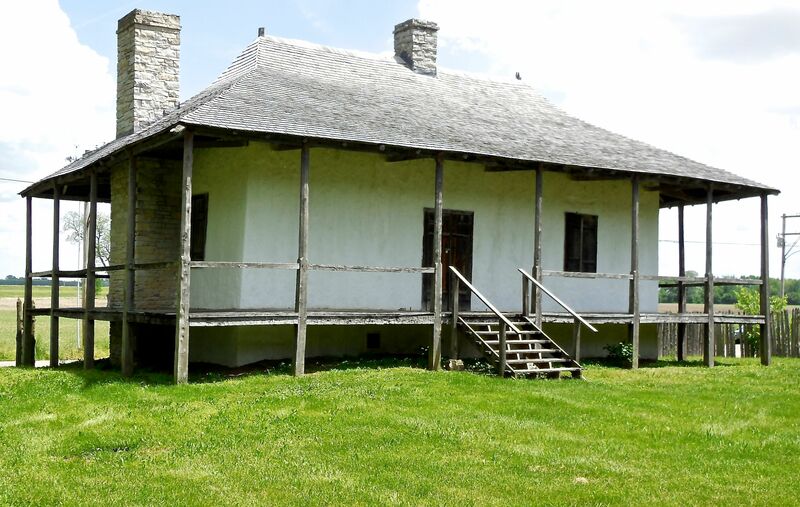 Many house of the period were built in the poteaux-en-terre style, which is represented by the Biquette–Ribault house shown here. With this kind of construction, the builders dig a deep trench that scribes the perimeter of the house. Once the trenching is completed, tall palisaded stakes are driven vertically into the ground and backfilled to establish the walls. In the poteaux-sur-solle construction a cedar sill is set into the ground and the vertical pickets are erected on top of the sill to form the walls. With both these construction methods the space between the pickets is filled with a noggin called bouzillage, made of clay, straw and woven sticks. Applied in layers, bouzillage hardens to a kind of plaster finish. That plaster is often covered with whitewash as a final layer. Please note: What most of us have come to think of as a “traditional” log cabin, which uses horizontal rather than vertical logs, is more of an English-German building convention. 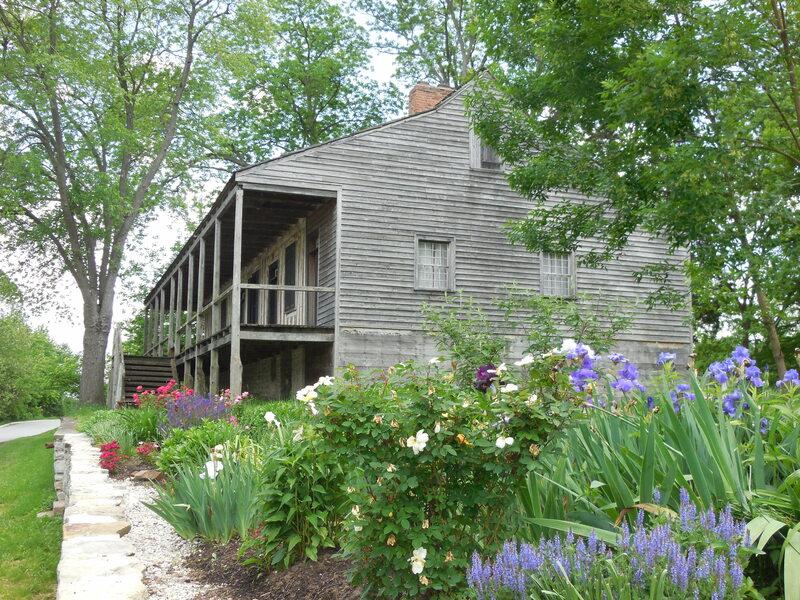 After the move to the little hills, structures like the Bulduc House, began to appear. They were built with the same Colonial French designs but of stone quarried from the “little hills” themselves. Extensive flower, vegetable gardens and orchards surrounded most of the houses in the village. One of the most distinctive features of these French Colonial houses is the roof, which somewhat resembles a wide-brimmed straw hat. A complex Norman truss system is necessary to support this roofline, but the height and width also provided ample attic space for the storage of grain, foodstuffs or supplies. Since many of the homes in Ste. Genevieve were also places of business, the attics were frequently used as warehouses. The roof’s deep overhang also provides deep, shady porches on every side of the house. 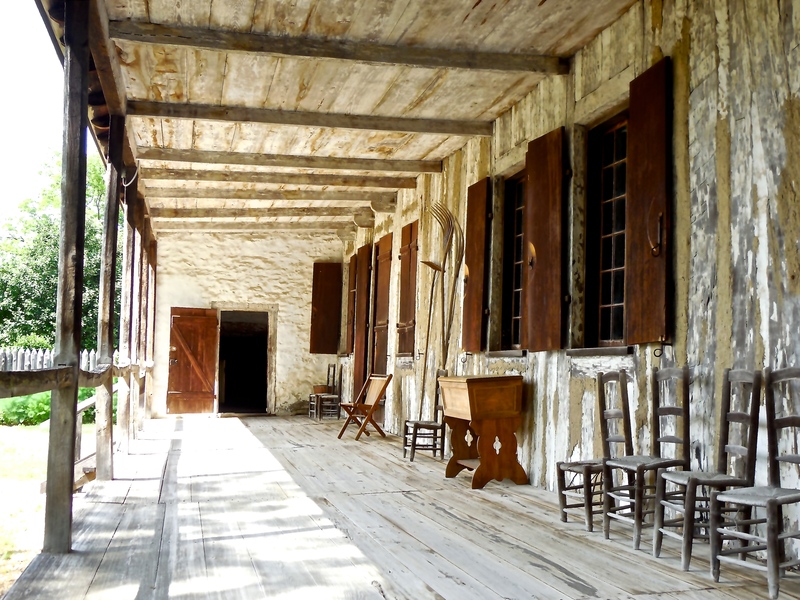 Some of these spaces were enclosed to as separate rooms, but more often the porches were used as workspace or for meals and entertaining. It is believed that this style of roof was a design brought from the Caribbean. We returned from our fieldtrip with a nearly a hundred photographs. The house my cover designer Kim chose for Bride of the Wilderness stands on St. Mary’s Road at the edge of town. 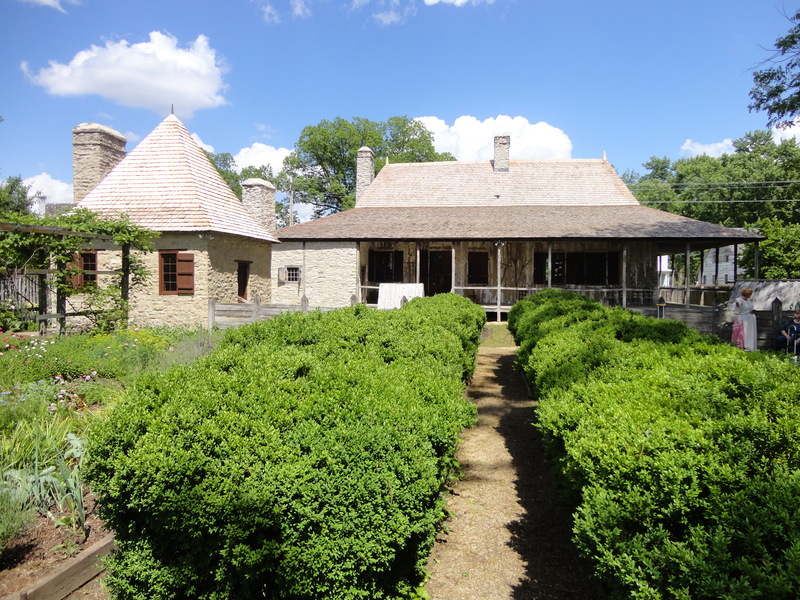 It is known as the Beauveau-Amoreau House, and was built in 1792. SO WIDE THE SKY inspired COLOR OF THE WIND. My husband and I flew into Cody, Wyoming the first week in June. There was snow on the ground when we landed; by the end of the week it was ninety degrees. Which was probably a fitting introduction to this beautiful and rugged land. Inspired by this photograph of Olive Oatman, (See previous blog.) I read everything I could get my hands on about Olive’s capture by Indians and her return to her own people. By the time I finished my research, I’d decided the story I wanted to tell was best served by using a fictional heroine. That meant more research. This time I focused on relations between the Plains Indians and the whites between 1851, when Olive was taken, to the Battle of Little Bighorn in June of 1876. The time and location that seemed best suited to my story was the year 1866 at Fort Casper, Wyoming Territory. 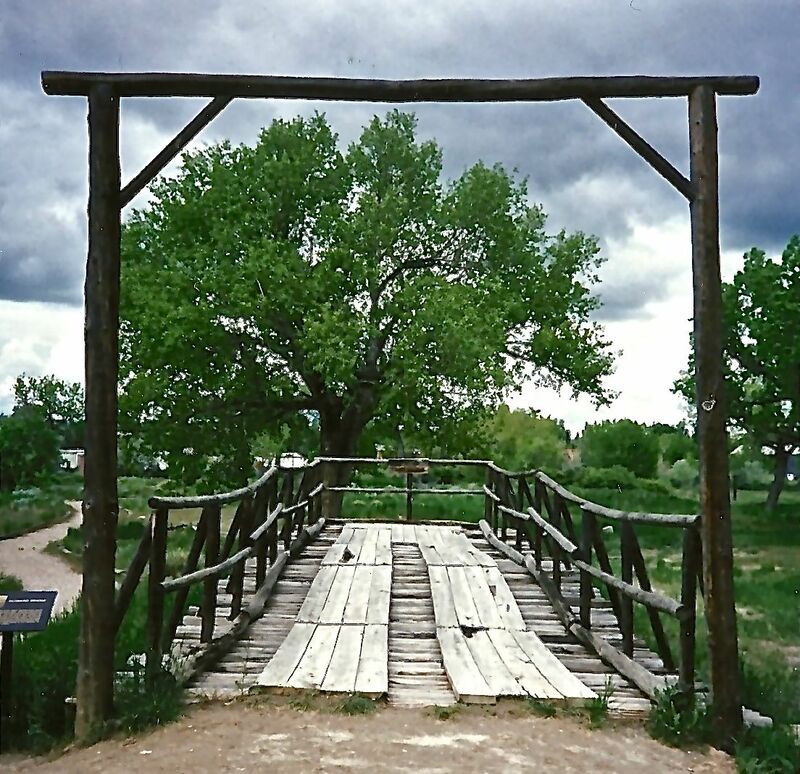 This was where a bridge crossed the Platte River connecting the road from Fort Laramie in southern Wyoming to where Fort Phil Kearney was being hastily constructed in the north to protect the Bozeman Trail, which led north to the gold country in Montana and connected with the Oregon Trail. Since the Fort Laramie Treaty of 1851 had ceded much of the area north of the Platte to the Cheyenne and Sioux, that made the gold miners, the soldiers and the settlers intruders. Our first research stop in Cody was at the Buffalo Bill Historical Center <centerof thewest.org> where I spent two days focusing on the life and art of the west. 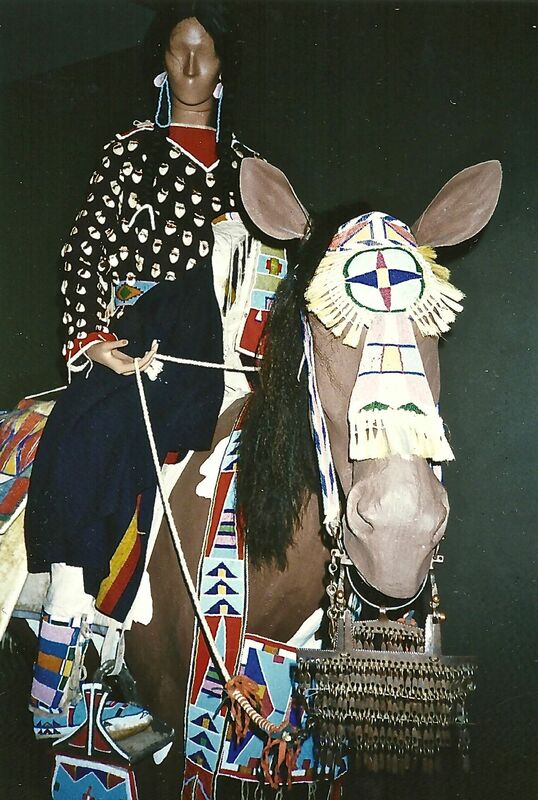 Most of my time was spent with the artifacts from the Plains Indians. The pieces these people made and used in their daily lives—the Cheyenne war shirts and weapons, the men’s beaded pipe bags and paraphernalia, the women’s high-pommeled saddles, their deerskin dresses beautifully beaded and shivering with fringe and the brightly patterned parfleches where they stored their belongings—speak as much of their lives as their artistry. 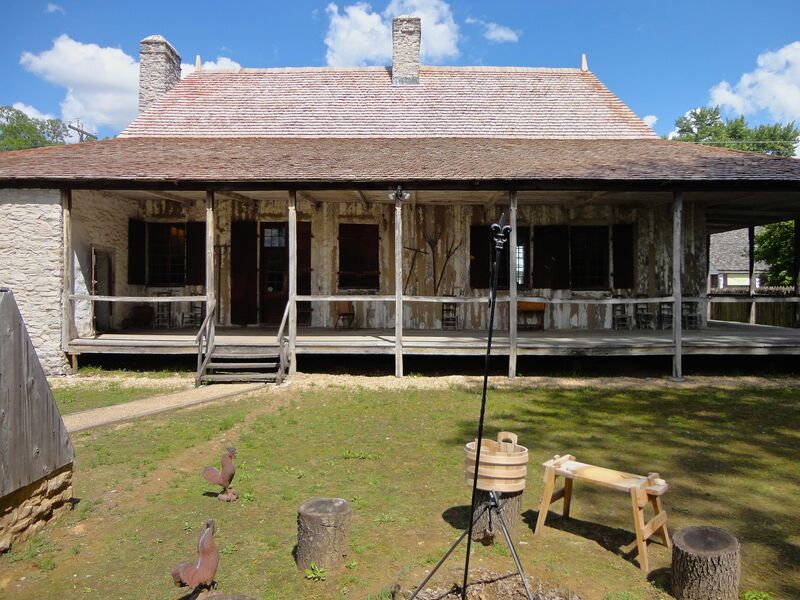 The museum complex proved to be a good introduction to the natural history of Wyoming, the cowboy life, Buffalo Bill’s Wild West Show and the artists who immortalized the natural beauty and life in the west. We drove east from Cody to Casper to see the partial reconstruction of the 1860’s fort. It was a drive that helped us better understand the lay of the land in Wyoming. Watctching “the deer and the antelope playing” on the planes delighted us. 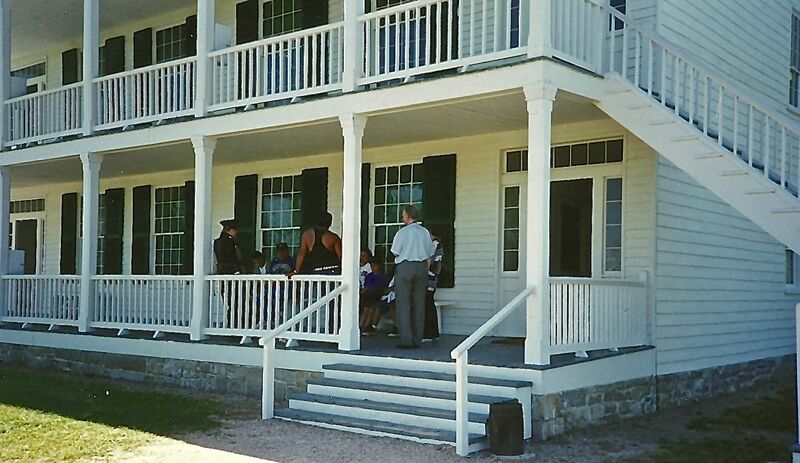 These are some of the photographs of the barracks and stables at Fort Casper. (Referred to in SO WIDE THE SKY as Fort Carr in the book.) 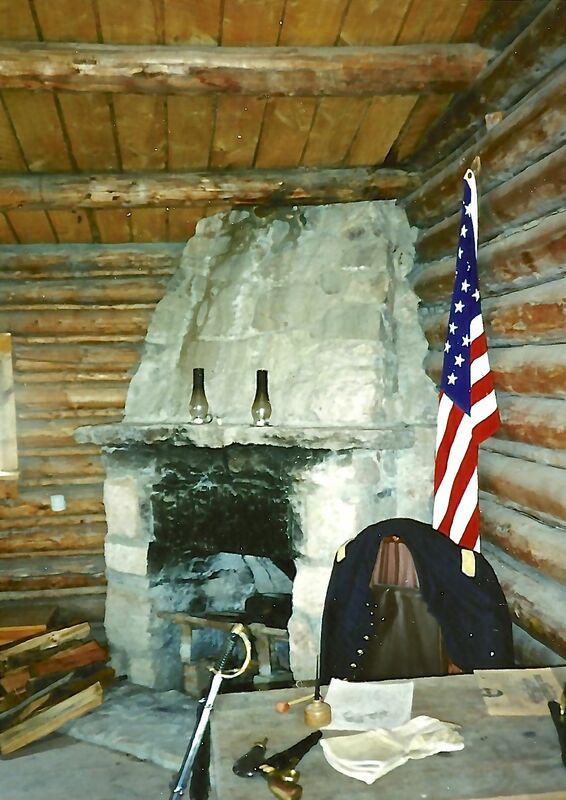 Since no officers’ housing had been reconstructed at Fort Casper, I based my descriptions in the novel on other forts of the period. 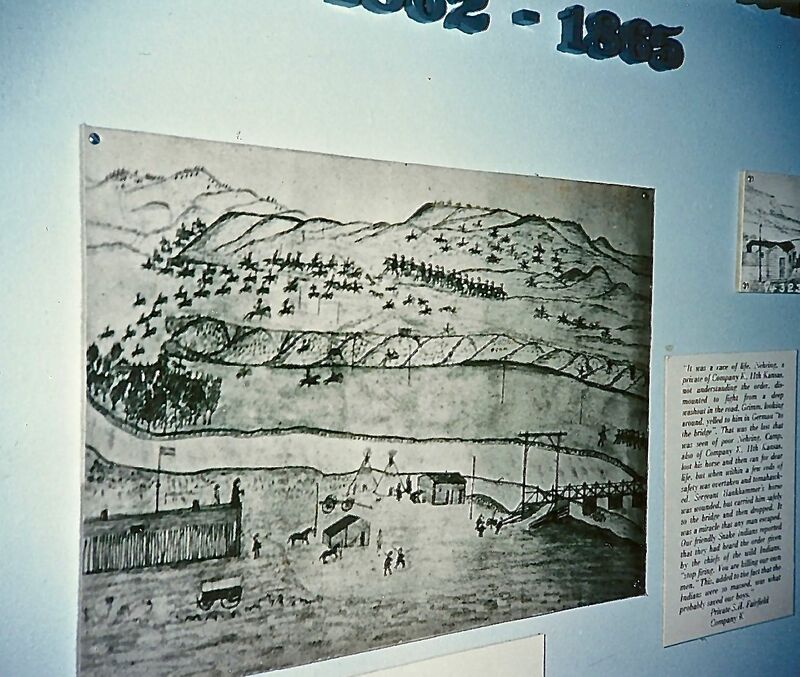 This is a drawing of the area in about 1866. Cassie rescues her stepdaughter when she falls through the ice. We also hiked around Caspar Mountain, which makes a cameo appearance later in the novel. 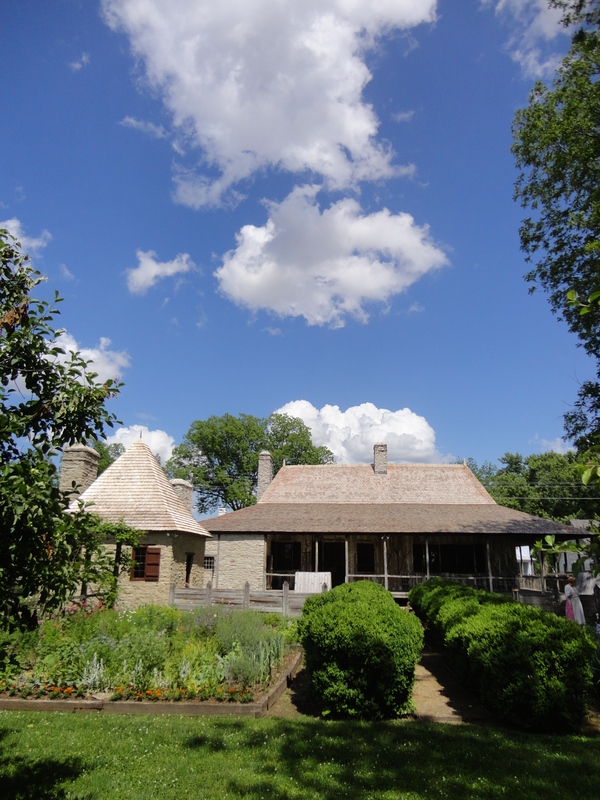 Driving south, we visited Fort Laramie. 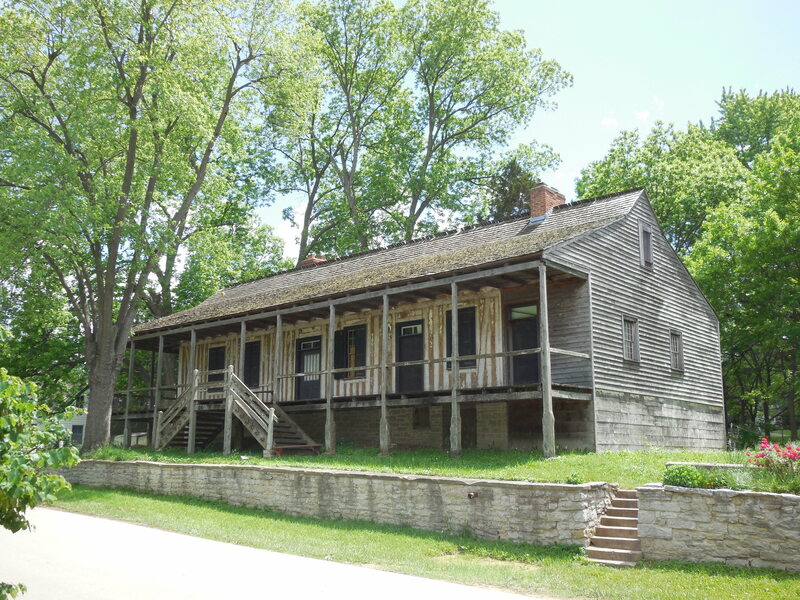 This is the headquarters building, known at an earlier period when it was the bachelor officers’ quarters, as Old Bedlam. 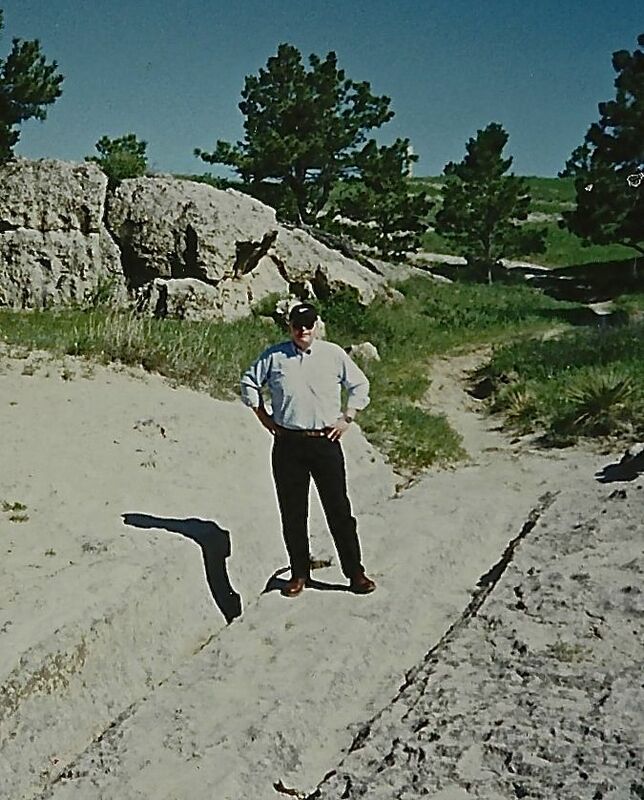 East of the fort, we visited a place where wheel ruts had been cut deep into the rocks. 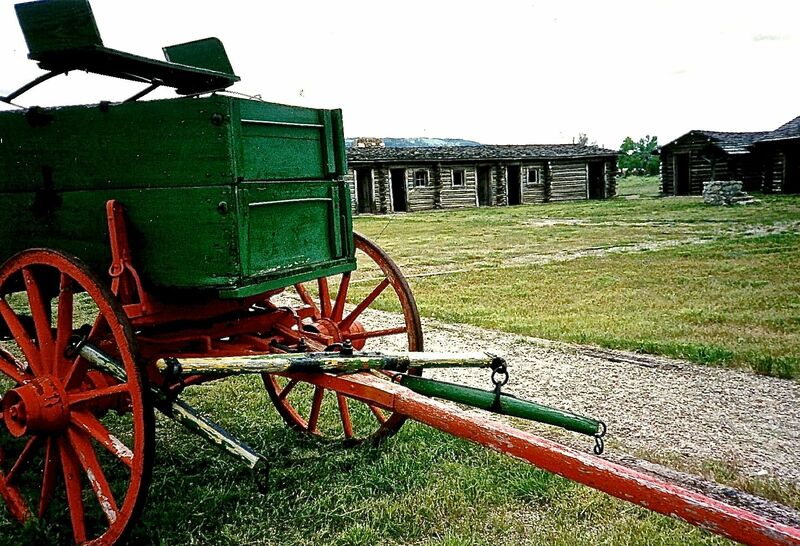 This happened when the pioneers on the Oregon Trail “locked” their wheels with chains and “skied” their wagons down the rise and into the Platt Valley. Before we left Wyoming, I was eager to revisit the Big Horn Mountains. When my college roommate and I drove cross-country, the Big Horns were the first “real mountains” we flatlanders had ever seen. We stopped at EVERY overlook to take pictures and gape, completely awed by the mountain’s majesty. The Big Horns proved to be every bit as magnificent on my second visit. Somewhere on our ramble through the mountains and back to Cody, we stopped in a rustic town for lunch. In the bookstore up the street, I discovered some fascinating nonfiction books about the cattle ranches that flourished along the face of the Big Horns in the 1880’s. What surprised me was that for a time English investors owned many the ranches in this part of Wyoming. What intrigued me more was that this was where the aristocracy would exile their n’er do well younger sons when they had disgraced the family. Most of these “remittance men” reformed and went back to England to lead productive lives—but some of them stayed to prosper and build ranches of their own. What was it about this wild and beautiful place that drove them turn their backs on Europe and stay? That was the question that inspired COLOR OF THE WIND and brought one determined spinster, three orphaned children and a remittance man together. But then, that’s a story for another day. 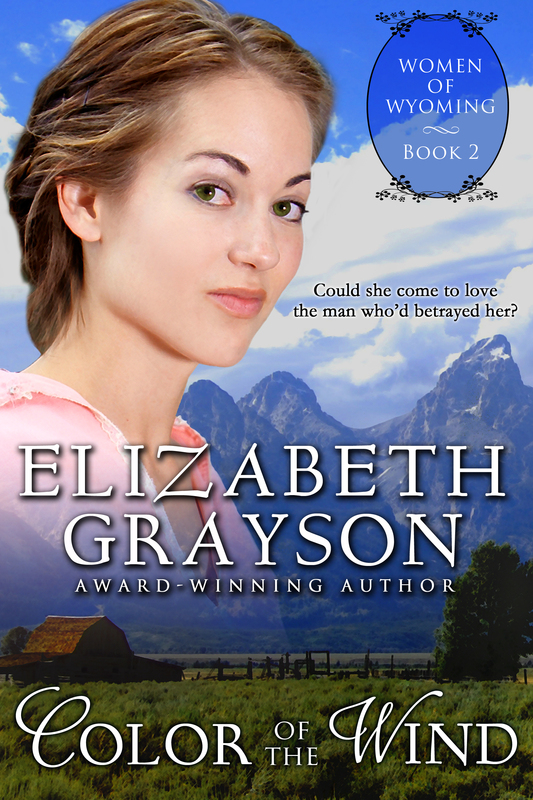 Sign up for Elizabeth's Newsletter. So How Do You Get Your Ideas?